*This post was updated in 2019! The tradition of the Reveillon dinner (pronounced REH-vēe-ŏn) began in New Orleans with French colonists during the mid 1800's. In French, the word “reveillon” means “awakening.” In preparation for Midnight Mass on Christmas Eve, the Creoles would fast all day and then would return home and feast on big, communal meals. Still celebrated today, the Reveillon tradition is most commonly celebrated by locals in the French Quarter's old and storied restaurants. However, visitors traveling solo to New Orleans can also savor the same memorable Reveillon dinner experiences at restaurants all over town. During the entire month of December, celebrate Reveillon with prix-fixe menus at New Orleans restaurants that consist of seasonal flavors and holiday dishes. The iconic Uptown restaurant is a favorite among holiday diners and a must do dining choice for the solo traveler. The atmosphere is relaxed and fun filled making Commander’s a great choice for travelers eating alone. In addition solo diners are given VIP status and consequently, received extra special service. Arnaud’s dining room. Photo by Gary J. Wood via flickr. This French Quarter restaurant has defined New Orleans fine dining for the past 100 years and counting. Locals, whether in a group or alone, love dining in this historic restaurant. Likewise, solo travelers are welcomed warmly and can expect Southern hospitality from from the attentive staff throughout their solo dining experience here. Another iconic French Quarter Creole restaurant is Galatoire's which is not to be missed by the solo traveler visiting New Orleans any time of the year. If you want to dine among the local movers and shakers, this is the place. Restaurant August. Photo by City Foodsters via flickr. 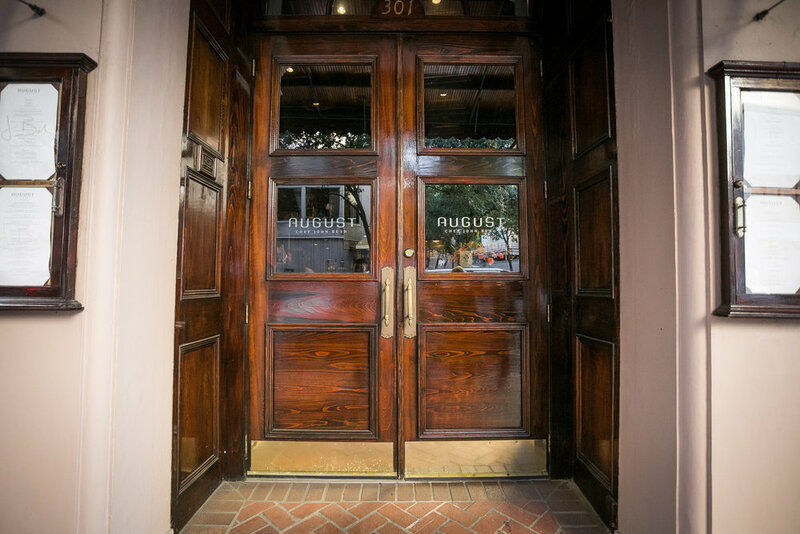 For a more classic solo dining experience, Chef John Besh's CBD restaurant, August, is a popular and unique spot offering a contemporary Reveillon dinner. Enjoy this short video highlighting the Reveillon dining tradition in New Orleans.